As a household that contains a five year old boy, I will say that we go through a lot of hand soap. I wash my hands so often, I sometimes end up with dry, peeling skin on my fingers. I switch brands often to try to find a soap that has a good balance of cleaning power and moisturizing. Dial Deep Cleansing Hand Soap delivers on both fronts! Dial Deep Cleansing comes in three varieties: Yellow Raspberry & Black Sugar, Coconut Lime Verbena, and Water Blossoms. I have so far used the Yellow Raspberry & Black Sugar, and I’m loving the scent! You can see the black sugar specks in the soap, and they are great for scrubbing your hands and making them feel really clean. Though this soap is not antibacterial, it still gets your hands the clean you need with the gritty particles that are just the right size. The soap does not make a ton of suds, and is easy to wash off. After you’ve washed, your hands are left smelling fresh, and feeling clean and moisturized! 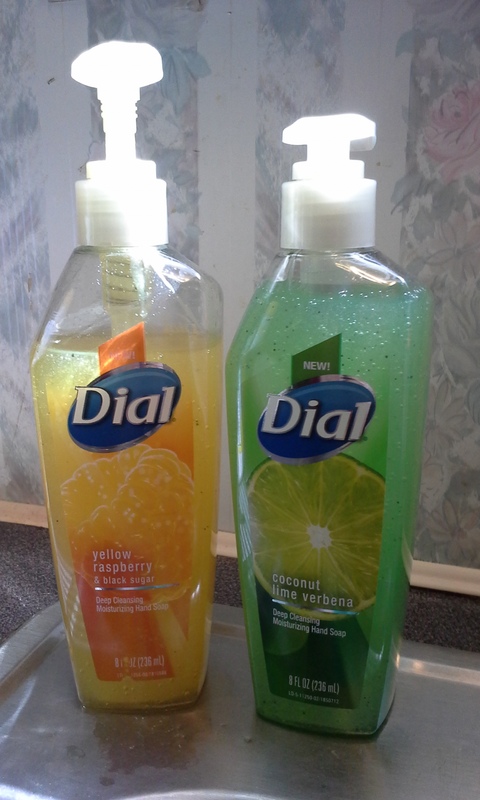 We will be trying Dial Deep Cleansing Hand Soap in the other scents for sure. Would you like the chance to try Dial Deep Cleansing? Simply visit the Dial Facebook page and comment to win a bottle of your own! There will be 25 winners! **DISCLAIMER: I received this product free for review purposes from Purex Insiders. This did not affect my review and my opinions are my own. Posted on March 19, 2014, in product review. Bookmark the permalink. Leave a comment.